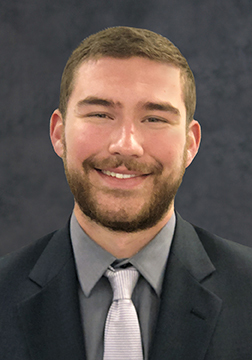 Durham, N.C., March 27, 2019 – LeChase Construction Services, LLC is pleased to announce the addition of Hank Slemp as a project safety manager in the Durham office. In this role Slemp will, for assigned projects, work to ensure compliance with site safety plans and applicable regulatory standards, conduct safety training and inspections, and act as liaison to clients and subcontractors on matters related to health, safety and the environment. Prior to joining LeChase, Slemp spent more than a year as a safety intern in the aerospace and oil industries. He graduated with a bachelor’s degree in safety technology from Marshall University (Huntington, W.Va.). Through that program, he received graduate safety practitioner (GSP) status – a first step toward earning future industry accreditations. Slemp currently lives in the town of Morrisville, N.C.